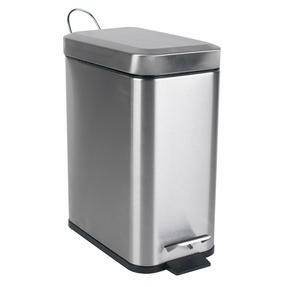 For convenience throughout the home, these brilliant Beldray pedal bins sit easily next to toilets, under sinks and in other rooms where space is limited for simple waste disposal. 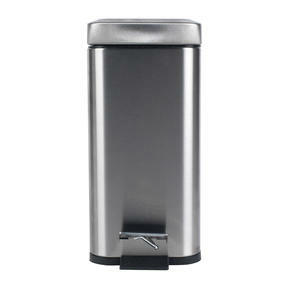 Ergonomically designed, the bins feature a step pedal so you can open the lid even when your hands are full, plus they are much more hygienic. 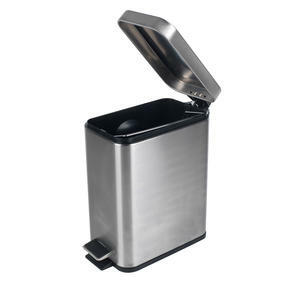 Particularly useful in bathrooms and en-suites, these bins are an essential item for any home and include a generous 5 litre capacity and soft close lid for ease of use daily. 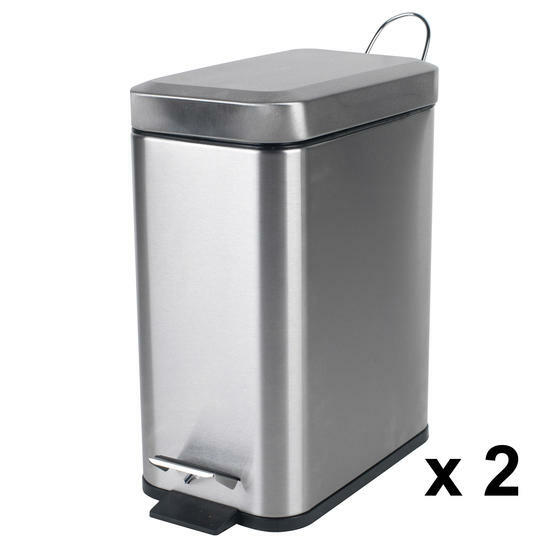 This set of two Beldray waste bins ensure effortless clean up every day, with a sleek stainless steel finish to suit any setting. 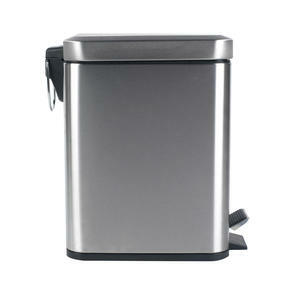 Featuring soft closing lids so there is never a harsh sound when it closes and allowing you plenty of time to dispose of your rubbish. Made with brilliantly strong steel, the bins are built to withstand repetitive use and are very easy to clean incase of spills. Each bin measures 29 x 14 x 30 cm and has a 5 litre capacity to contain all of your rubbish throughout the day and keep your home tidy. With a smart step pedal so you can quickly throw away any rubbish, it is also much easier to empty these bins, even when they are full.